Since it’s a glorious summer weekend, try making one of these glorious, summery brunch cocktails. There’s nothing wrong with a classic, peachy bellini or a screwdriver made with fresh-squeezed orange juice. But you can have those brunch drinks any time of year. Since it’s a glorious summer weekend, try making one of these glorious, summery brunch cocktails. This light and fruity white wine sangria calls for vodka instead of the traditional brandy. Tart and sparkling, this cocktail can be made with a mix of tangerine and lime juices if you can’t find yuzu. 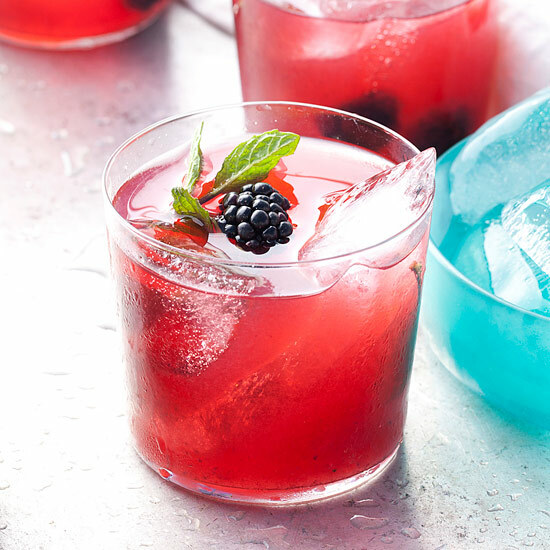 Fresh, juicy blackberries give this take on a mint julep deep, fruity flavor along with a gorgeous red color. This cocktail is a variation on the Paloma, made with tequila and grapefruit soda. It also includes Italian orange soda and Campari. Made with ultra-fresh vegetables, this slushy, savory cocktail is the ultimate summer bloody mary. This peachy, gingery vodka cocktail is best served over crushed ice. Mint, strawberries and lemon wedges are muddled together for this bright, refreshing mojito.